Hush Stalker II QD Swivels. For 25mm / 1" sling ends. Weighs approx 33 grams per pair. 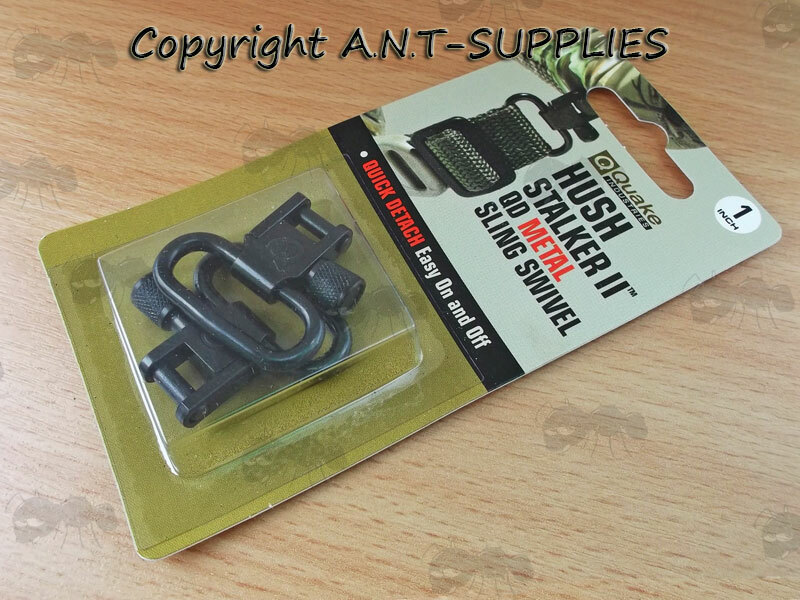 Hush Stalker II™ Sling Swivels provide the same no squeak, no rattle features of the original Hush Stalker™ with the added convenience of a Quick-Release stud. Simply unscrew with your fingers and remove the swivel/sling unit. It's that quick and easy! Truly the best swivel available. Hush Stalker II™ Sling Swivels are designed for those sportsmen who wish to quickly transfer their favourite sling between two various firearms. Hush Stalker II swivels are extremely strong and durable. Sling removal is even faster and simpler with the Quick Detach design. 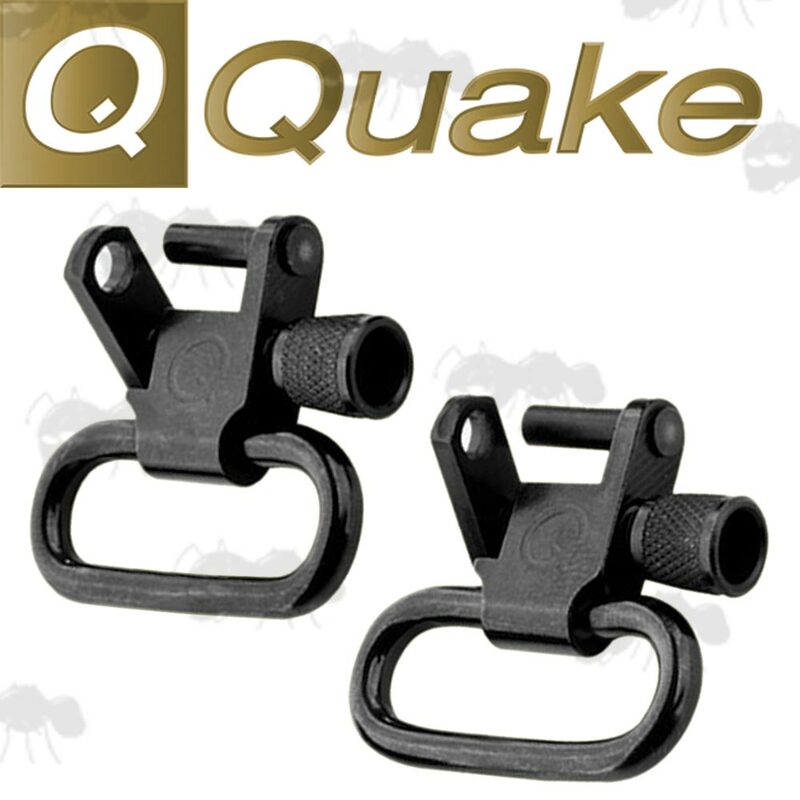 Quake The Claw Rifle Sling with Swivels and Quake QD Sling Swivel Bases.